August, indeed like most months, is such a busy time at The Table Bay Hotel, one of Cape Town’s finest, on the V & A Waterfront, overlooking a working harbour. The views from both sides of the hotel are incomparable, one side facing the edifice of Table Mountain and the other the sea and Robben Island. With National Women’s Day on Thursday, the ladies who lunch can enjoy a sophisticated Harvest Table lunch with special friends or colleagues. 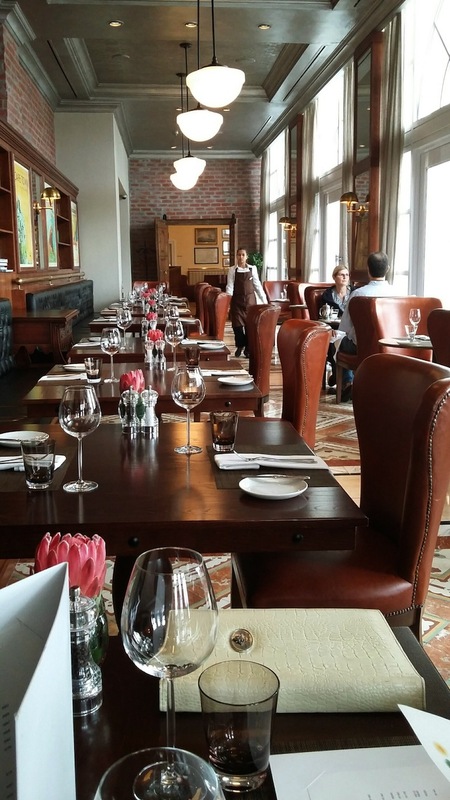 The cosy sanctuary of The Table Bay’s Camissa Brasserie, overlooking the harbour but tucked away from the bustle of the Victoria & Alfred Waterfront is the venue. 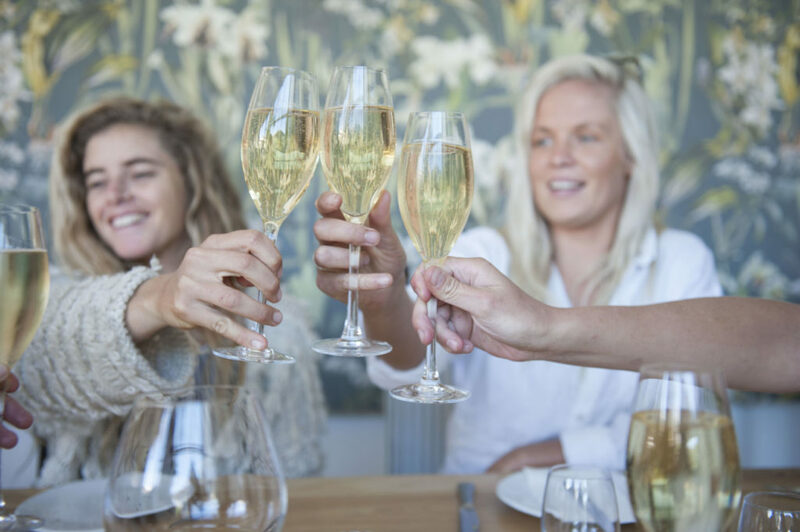 The high-end Stellenbosch Wine Estate, Warwick Estate, is offering every guest visiting Camissa Brasserie for lunch on Women’s Day, 9 August 2018, a complimentary glass of Warwick First lady Cabernet Sauvignon or Sauvignon Blanc. 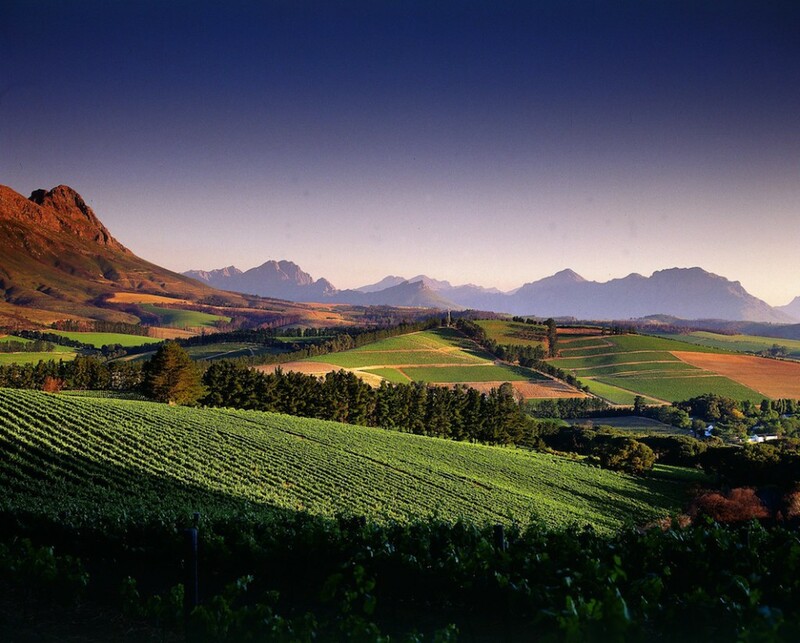 Warwick Estate, located in the Simonsberg Mountains at the centre of the winelands, has a rich history dating back to 1771, with its wines reflecting the terroir of the region. According to The Table Bay’s Executive Chef, Keshan Rambarun, Warwick First Lady Cabernet Sauvignon or Sauvignon Blanc are beautifully paired with Camissa Brasserie’s sumptuous Harvest Table lunch. To start, guests have a choice of fresh salads and greens from the harvest table. The salads have a wintery-twist, with choices like rainbow beetroot salad, candied walnuts, blue cheese crumble and roasted sweet potato. A delicious homemade soup, as well as a selection of beautiful home baked breads. The evolving hot buffet is a wonderland of satisfying dishes such as short rib tagine with whole root vegetables; pan fried line fish with broccoli florets, dukkha crust and buttered couscous, and teriyaki chicken with roasted vegetables. There will be something on the buffet for vegetarians, butternut gnocchi with sauté mushrooms, crème fraiche and lemon thyme velouté. The cost per head is R260. 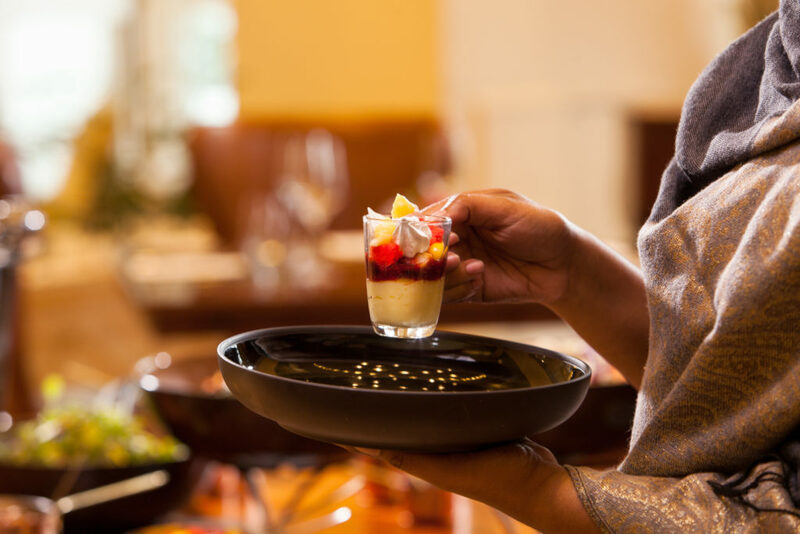 Guests can choose to end their meal with an indulgent signature dessert for an additional R40 per person. Camissa Brasserie serves lunch between 12h00 and 14h30 from Tuesdays to Fridays. Booking is essential on TableBayDining@suninternational.com or 021 406 5988. The well-known Mini Chefs Programme at The Table Bay Hotel gives a wonderful opportunity for aspiring young chefs to work in a hotel kitchen with the professionals who work there. 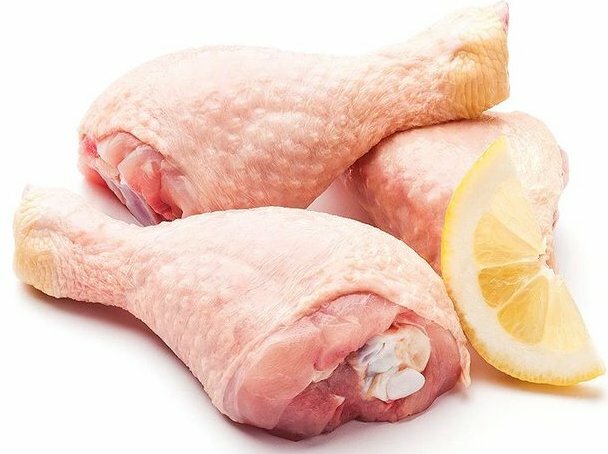 This month the subject is Sticky BBQ Chicken drumsticks, with a selection of marinades, turning your child into the braai expert of the family. Each two-hour Mini Chefs class is an interactive learning experience that gives children between 6 and 12 years of age kitchen confidence using sustainable and organic produce with responsible cooking concepts. The Price is R355.00 per child, and includes a recipe card, plastic apron, and the food cooked on the day with its own packaging. The programme runs from 13h00 to 15h00. 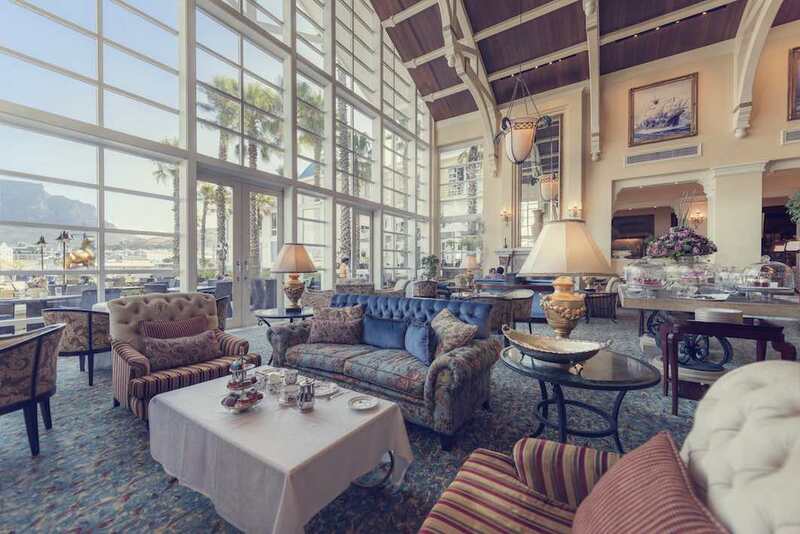 So there’s time for High Tea in the Hotel’s beautiful high ceilinged, comfortable Lounge. Some of the best bakes in town are on offer and it is such a lovely family thing to do. 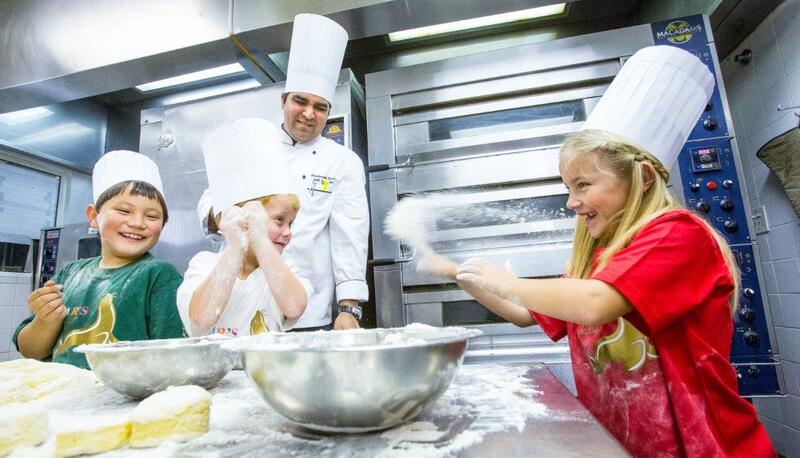 For Mini Chef bookings and enquiries please contact the hotel on 021 406 5988 or TableBayDining@suninternational.com. There is a new man in charge of the kitchens at Cape Town’s Best Address. 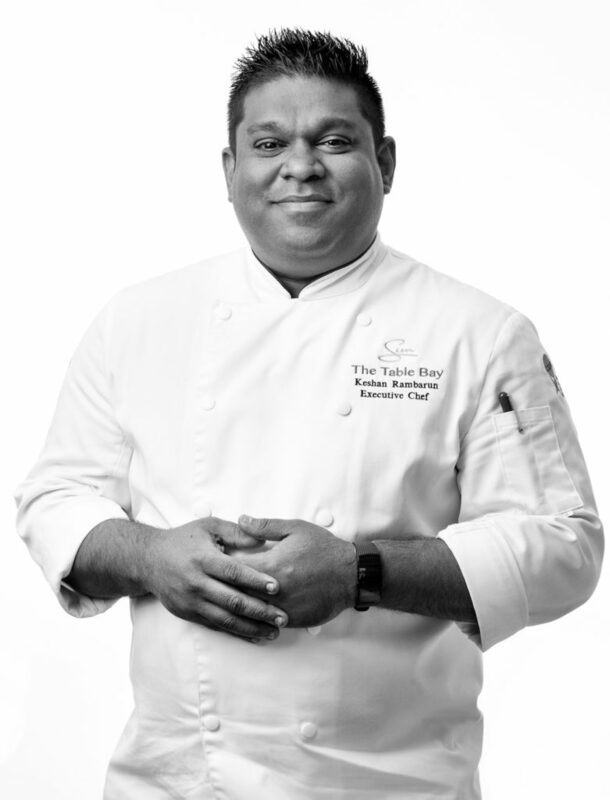 Keshan Rambarun has been promoted to the position of Executive Chef at The Table Bay after just over a year in the role of Executive Sous Chef. From the tropical coastline of KwaZulu-Natal to the wild and rural landscapes of the North West Province, Ramburan’s career in the hospitality industry has been shaped by a diversity of experiences and personalities. But’ it seems as though a career in culinary arts was inevitable for Ramburan who grew up in KwaZulu-Natal surrounded by a family whose gatherings under warm African skies were characterised by food. It says it all on his jacket! “My family set a foundation for me and taught me how to always treat people equally. Every person that walked through our doors was considered a special guest, and I take that lesson with me wherever I go. “Their warmth and genuine hospitality had a profound influence on me. Not only has it shaped my personality, but it also inculcated in me an indisputable passion for cuisine and hospitality. After completing school, I had no doubt about what I was going to do. I had an innate talent for cooking and I couldn’t wait to unleash it, and learn more,” recalls Rambarun. His tenure as Executive Sous Chef has offered him something of a settling in period and he has entrenched himself in the culture and daily workings of the hotel which he says was a humbling experience. He is as inspired as ever to be working in such a beautiful location. Keshan says “We need to continue surrounding the hotel with passionate people. It is the people who define the guest experience and distinguish The Table Bay from other luxury hotels. From a food perspective, we offer an authentically South African experience, while at the same time adding an international twist to our dishes which ensures that they have universal appeal and reflect current trends. Rambarun has no doubt that he made the right decision to enter the culinary field.